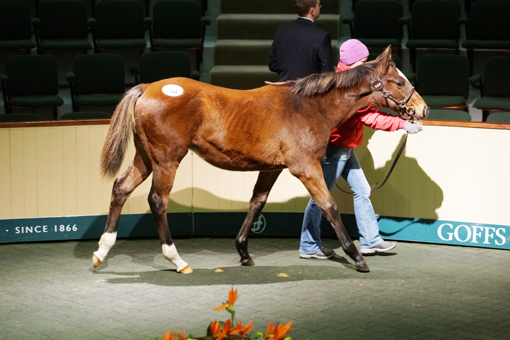 Lilbourne Lad's full sister is sold to John Ferguson Bloodstock for 360k. 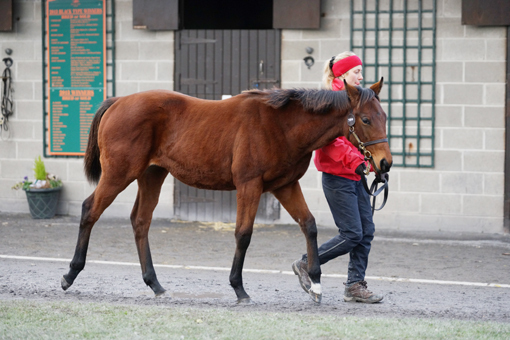 Swordlestown Little again has the second top lot at Goffs November Foal Sale and this time it is the highest priced filly! 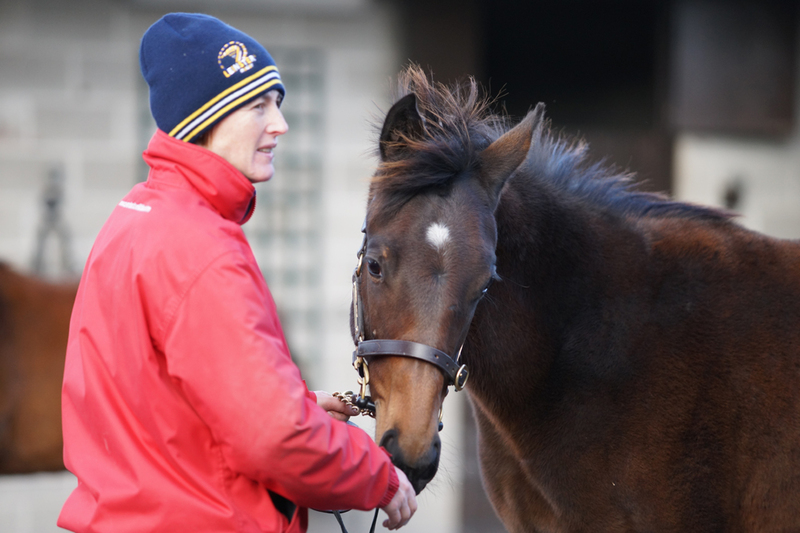 The Sales are now over and we are as much relieved as we are proud of our foals who were very grown-up and professional during a stressful time. They all went to great homes without having to travel too far. I hear they have already adjusted to their new environments and both fillies have secured top position in their new herd of other sales fillies! 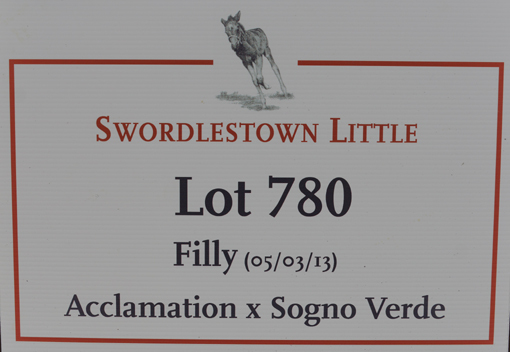 After a very short acclimatisation time, we got into the swing of showing off our foals to prospective buyers. We were very busy and many miles were walked by Manuela, Deirdre and Aoife with their respective foals. I was very proud of both foals and the showing team, who received many positive comments and we were backed up by Tom and Scarlett who provided grass and other food for four- and two-legged creatures and looked after everyone at home. 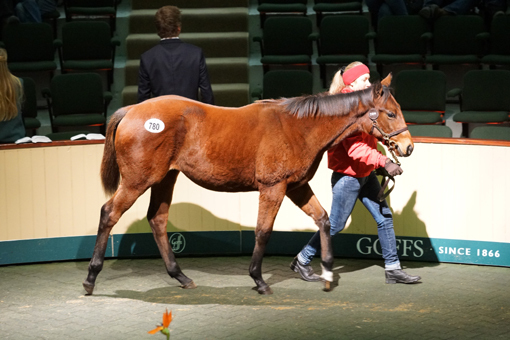 The highlight of course was the sale of our beautiful Sogno Verde filly and we quote John Ferguson of Darley: "We bought her half brother here last year and we are very happy with him and she is a lovely own sister to a high-class racehorse, who is coming from good breeders." It was wonderful to see how well received Lilbourne Lad's first crop of foals were by the market professionals. 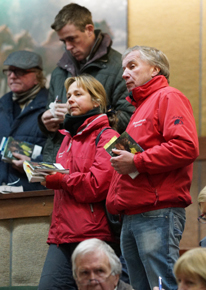 With a covering fee of € 7,500 he finished the sale with 34 foals sold from 36 offered and an average price of € 35,229, nearly 5 times the covering fee. His highest price of € 100,000 was paid by Shadwell for a half-sister to young Tally Ho sire Sir Prancelot, bred and consigned by Tinnakill House Stud. 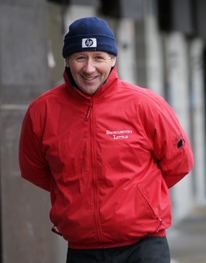 Frannie Woods of Rathbarry Stud summarised as follows: "They are all a similar stamp, in fact they are very similar to the Acclamations. They appear to be strong, well-balanced and athletic and we are very pleased with how well they have been received." Above: it's sales time....left to right: Lot 744 Lilbourne Lad ex Nisriyna colt, Lot 780 Acclamation ex Sogno Verde filly and Lot 912 Lilbourne Lad ex Khatela filly.Below: Aoife and Bressie concentrating!! We would like to congratulate our dear friend Jacqueline Norris for consigning the Sales Topper for the second consecutive year. This time Jacqueline achieved this with a beautiful Rip van Winkle colt ex Faraday Light and half brother to Classic winner Just the Judge. 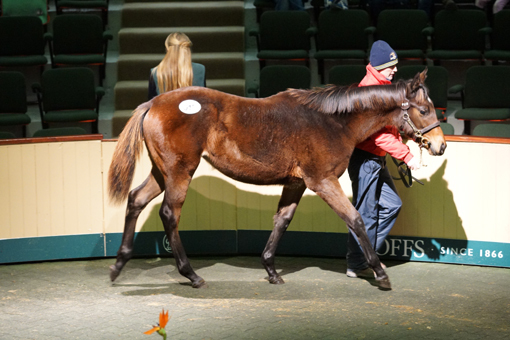 The colt was sold to David Redvers Bloodstock for Qatar Racing for € 420,000. 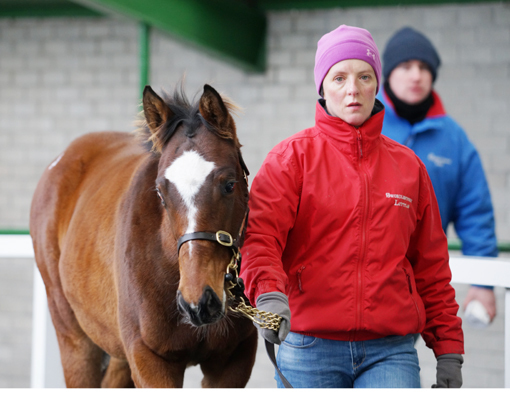 What a result for his breeder, Joan Dempsey who has just the one broodmare. 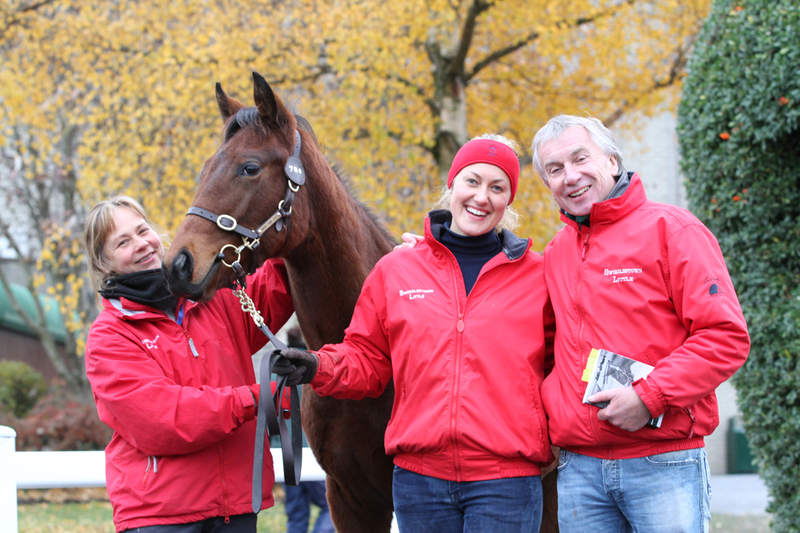 This is a fairy story and illustrates how small breeders make up the backbone of the Irish Thoroughbred industry, something that often gets forgotten! 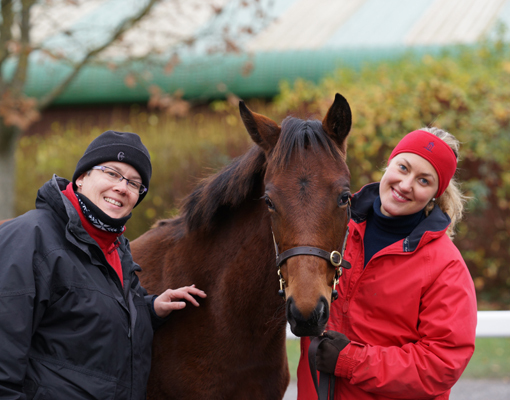 Finally we would like to thank the people who chose to buy our foals and wish them every success in the future! We are looking forward to seeing them race successfully from 2015 onwards! Sales stress and concentration! Just as well Tom is always smiling! 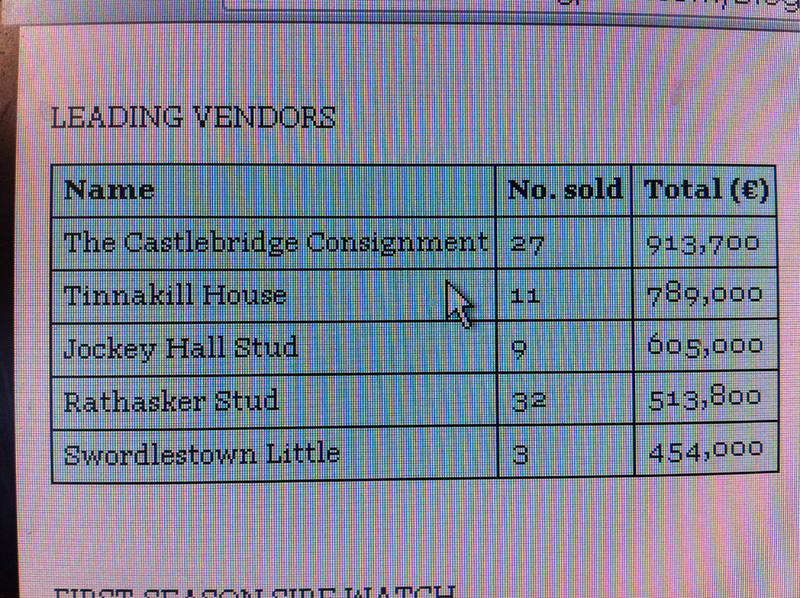 .... and this with only three foals offered..... Well done team!